I was recently asked if it was possible to integrate LoadRunner with Jenkins. I was not sure but after some research, it turns out that it is possible. 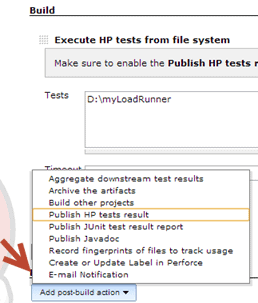 Basically, all you need to do is setup Jenkins to use the Jenkins HP Application Automation Tools add-in and configure it to point to you LoadRunner Scenario info. 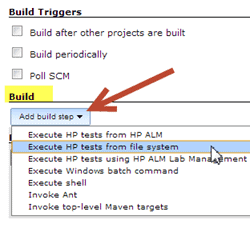 I knew that this Jenkins plugin worked with ALM and QTP/UFT but it was news to me that is also works with HP LoadRunner 11.52. This add-in allows you to enable a trigger for LoadRunner Scenarios as a build step, and its results will show up in the Jenkins results dashboard. 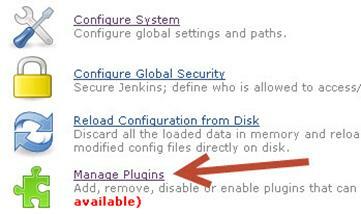 1) In your Jenkins instance, navigate to the Manage Jenkins area and click on the Manage Plugins link. 2) Click on the Available Tab. 3) Under the Filter text box, enter HP. 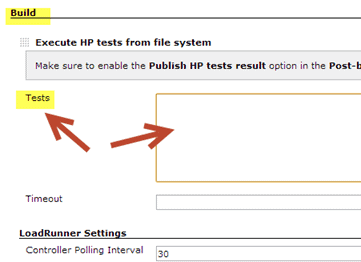 4) Under the Available tab, look for the name HP Application Automation Tools. Click on the Jenkins>New Job menu option. Under Build you should now have an option for LoadRunner-Specific Settings.. – Click on it. That is how you integrate LoadRunner with Jenkins. Hope it helps. Let me know if I missed anything. Hi Joe, your website is the best! How would these directions differ for UFT 11.52? On a second look, I’m guessing Scenario is a term specifically used in LoadRunner, so I’m not entirely clear why my functional test is failing right off the bat. Hi Matt – in the bottom of my post I talk about this issue sometime being caused by not specifying an SLA in your LR Scenario. To fix just go into your Scenario in the LoadRunner Controller and add a SLA. Did this not work for you? Hi Joe, I have Functional Tests in UFT 11.52 which are failing without executing, so I don’t know if the issue is that I haven’t applied an SLA as is described for Load Runner Scenarios or if it’s just a coincidence that some other configuration issue within UFT or my tests is causing my tests to fail without executing. I do believe it’s on that side though and not an issue with Jenkins or the plugin, because when I modify the path to the test (i.e. 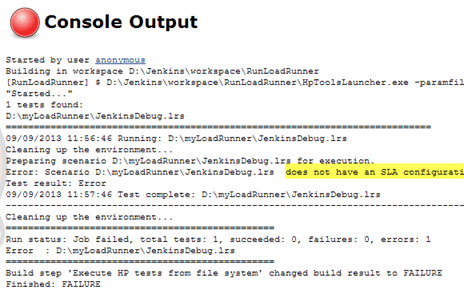 in Step 5.1 above) the Jenkins build log then shows a different error “There are no valid tests to run!” which would indicate that the unedited path is to a valid test. For reference, the path I’m providing to Jenkins contains the Action0 and Action1 folders. Ohh – Sorry Matt I did not understand your issue. Ok let me try with UFT and Jenkins and see if I can repro on my end. I’ll let you know what I find. Hi Joe, I’m not sure what did the trick, but Jenkins is now successfully able to run my test. Thanks just the same. Error: LoadRunner is not installed on INFPU05852. Any idea, wha i might poin to ? Dumb question — is LoadRunner installed on the INFPU05852 machine? 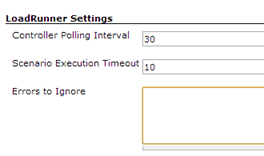 I have defined the SLA in LoadController as Transaction Response time (Percentile). Even though I have clearly named all my transactions the console output i get is as below without the transaction name. Is there something else I need to do when defining SLA’s? [EnvInject] – Loading node environment variables. and Jenkins error says Error: The LoadRunner version must be 11.52 or higher. so i cant use this jenkins interegation to LoadRunner 11.0??? if we can, Could u please tell how?? 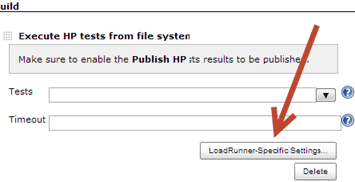 I have been trying for several weeks to get the HP Automation Tools plugin to work with LoadRunner 12.5. I had it working back in 2015 with LoadRunner 11.52, but I did not like the results. Scenario C:\ci\EID\ControllerScenarios\citest.lrs ended after 0:2:30. I have been trying to work with HP to resolve my issues but so far no luck. How it will get to know that it has to execute JnekinsDebug.lrs file only, as we are mentioning path only in Tests? (pending—DirectLoadRunnerNode is reserved for jobs with matching label expression) and it is not starting build as well. Any workaround to resolve this?